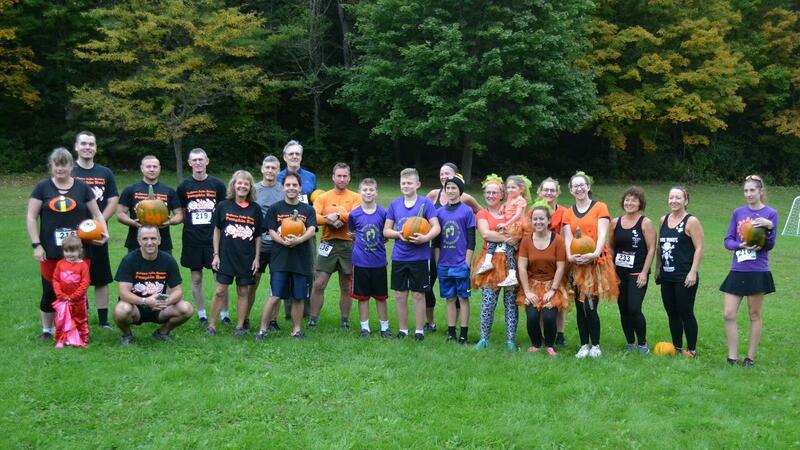 Twenty-two athletes completed the second running of the Bellows Falls Pumpkin Run on Sunday, October 7, 2018 on a course that traversed the roads, trails and fields around Saxtons River. 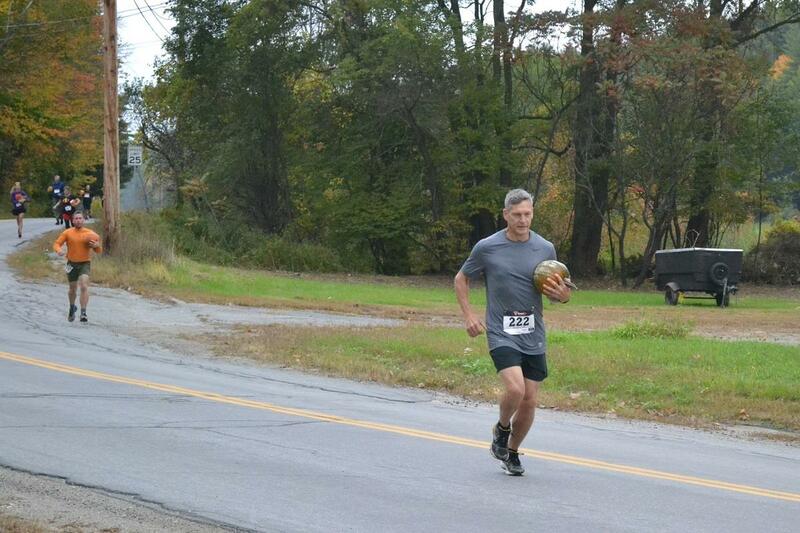 A last minute change of pumpkins lead to a victory for Brian Nelson in the second Bellows Falls Rotary Pumpkin Run. With the rules of the event calling for subtracting 30 seconds for every pound of pumpkin that one lugged around the 5 kilometer course, Nelson swapped out his pumpkin for a pumpkin 3 pounds heavier minutes before the start of the race. And, he needed every one of those pounds to overcome the one minute and two second lead that Brian Rowell had at the finish line. Christine Natalie lead the women's field, the Pumpkineers won the pairs race and the Deputy Dawgs from the Windham County Sheriff's office won the team race. The Pumpkin Princesses and Jessica Bruno, who dressed up as Mrs. Incredible, were awarded prizes for best costumes. More pictures are available on the club's Facebook page. The club would like to thank the sponsors who provided financial backing for this race: Savings Bank of Walpole, Peoples United Bank, Edward Jones, Mascoma Bank, Halladay Harvest Barn and Kurn Hattin Homes which provided the maple syrup prizes.